Located in the Vicentine Coast Natural Park, 1km from the village of Brejão, Monte da Boavista offers the unique tranquillity of the Alentejo region. Carvalhal and Amalia Beaches are 3 km away. Situated along a natural lake in the Parque Natural da Costa Vicentina, Cerro Da Fontinha features extensive gardens with sun loungers. Amalia Beach and Carvalhal Beach are a 5-minute drive away. 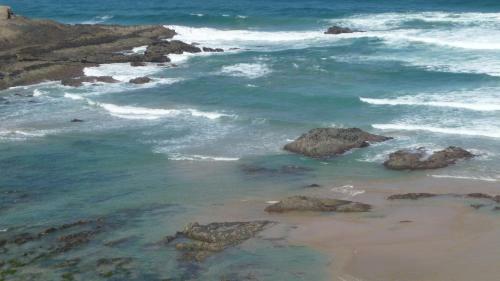 Set 8 km from Sudoeste TMN in Zambujeira do Mar, Monte Samoqueiro features free WiFi access and free private parking. All rooms have a private bathroom equipped with a bath or shower. Faro Airport is 87 km away.